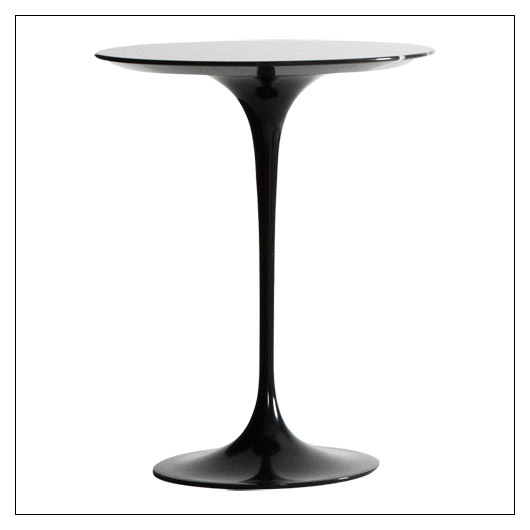 Saarinen Round Side Table (msdsfsrst) at Pure Design Kids / Tables and Desks / Tables ::: Kids' Toys, Furniture and More at Pure Design Kids! Introduced in 1956, the Saarinen Collection of dining and low tables is as popular as ever. Perfectly scaled for mini! Also known as the "Tulip" table, mini and Mom will be pleased to have this sweet table. Top is white laminate. . .easy to clean and won't crack or stain. Materials: Base is constructed from molded, cast aluminum strap polished and coated in tough, abrasion-resistant rilsan finish. Round side tables stand 13 3/4" high with a width of 20"
Please allow 8 - 14 weeks. Since all Knoll products are Made-to-Order, all sales of this item are final. Your credit card will be billed as soon as we get confirmation from Knoll that your order has gone into production. "Lower 48" USA sales only.